Er…not quite. 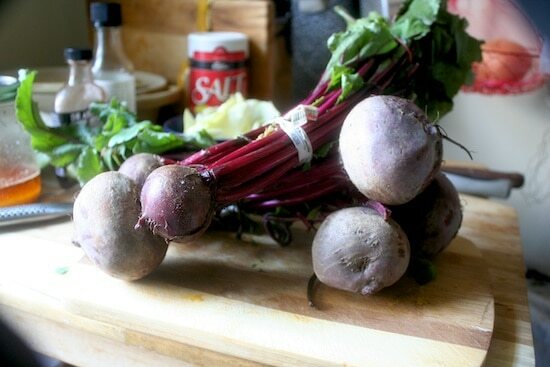 I mean…these beets. Let’s talk about beets, baby! Though there are other popular (depending on where you live!) 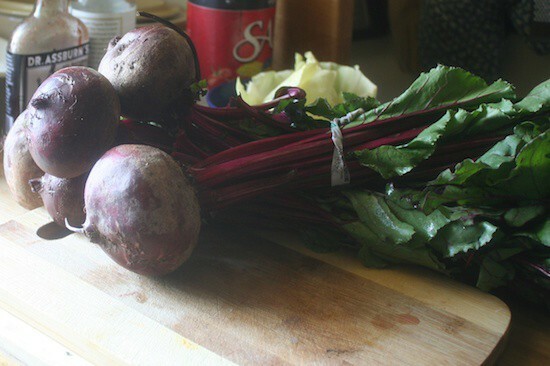 kinds of beets – like the striped or yellow beet – we’re gonna focus on these red beauties today. What is a beet, and how does it taste? Contrary to my original beliefs, a beet does not taste like cranberry sauce. Hey, I’m not ashamed to admit it. 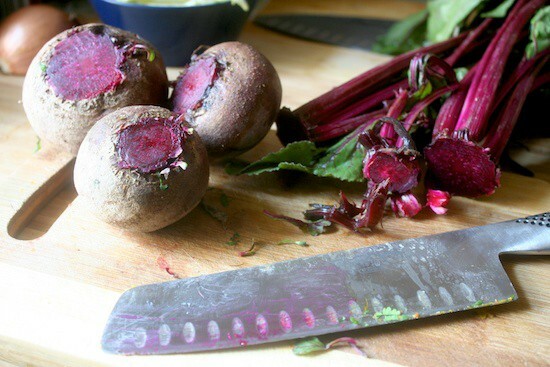 When I first picked up a roasted beet, I just assumed that all dark, burgundy-crimson-ish things tasted like cranberries. Please don’t think like that. You’ll get your feelings hurt. If you’re expecting that kind of mind-numbing sweetness, beets will shock the hell out of you. A beet is a slightly sweet – yet still somehow woody root vegetable – that develops a softer texture akin to what you’d find in that beloved (and by beloved, I mean awful) canned cranberry sauce. How do I choose good beets? Beets are more of a year-round kind of vegetable, but are often super cheap in the winter because, hey, nobody knows what to do with them. 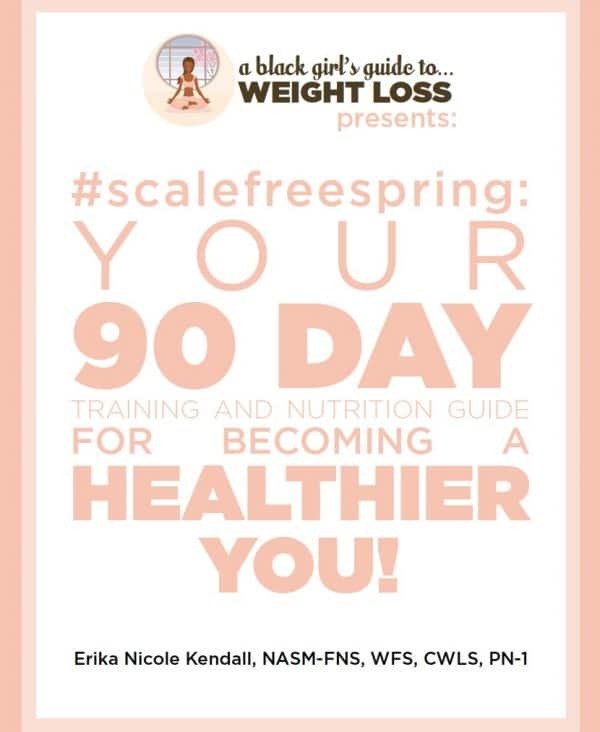 Us cheap clean eaters… we use this to our advantage. Look for beets that have strong, sturdy, unbruised stems and leaves. 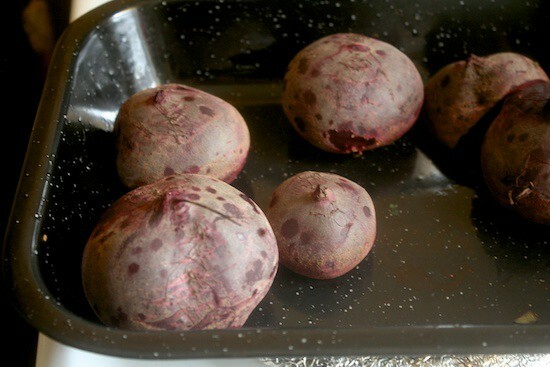 Beets do mold, so look to make sure you don’t have any of that. 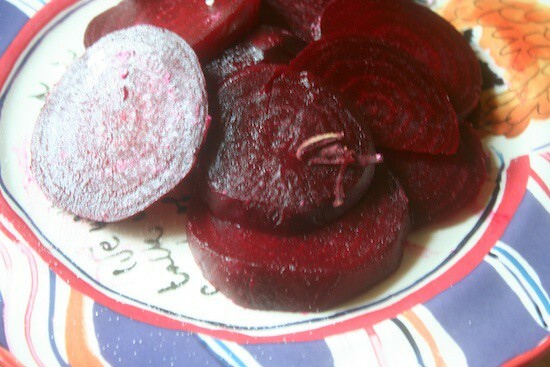 The beets should not have any give whatsoever – they should be hard, stiff, and sturdy feeling. How do I store beets after buying them? Wash these babies. 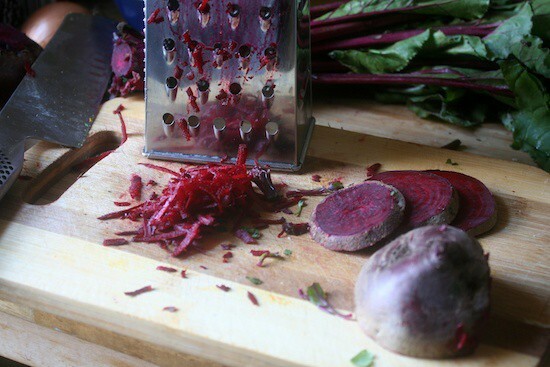 You’ll want to cut the leaves off the top of your beets – detach at the head of the beet – and store them separately. Place your beets in a lightly ventilated container, and store them in your veggie drawer of your fridge. 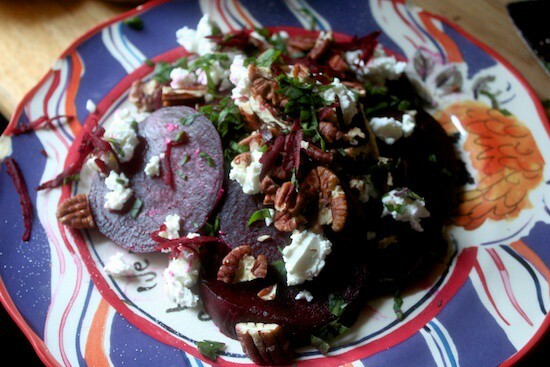 What goes well with beets? The nice thing about beets, is that you get two separate servings out of ’em – you turn the beets into one thing, and those gorgeous green tops into something completely different. 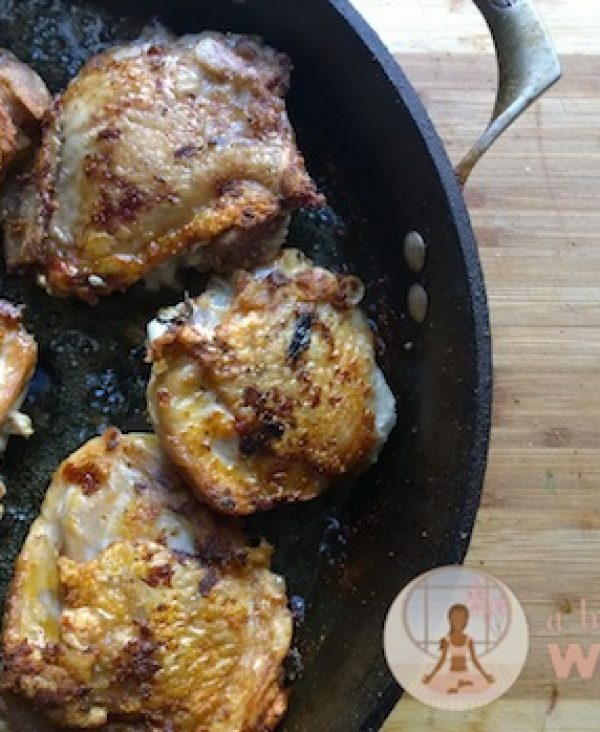 You can, essentially, treat those tops like collard greens and braise them at your discretion, use them for wraps, or saute them as a side. Your choice. As far as the beets themselves, people love to pickle beets. 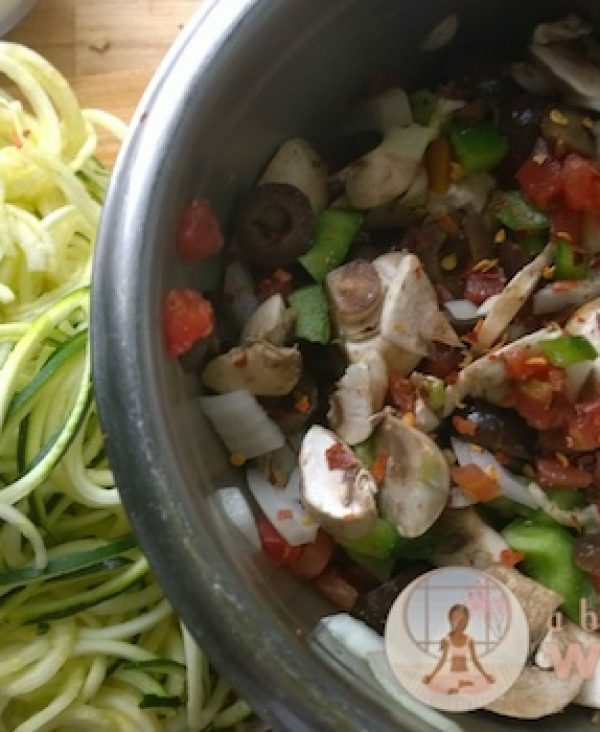 You also can grate them raw – as pictured above – and use them as a nice, fibrous addition to your salads. There’s also borscht, a European soup that comes from beets, onions tomatoes and stock. You can eat them with bacon, with salmon, or…. 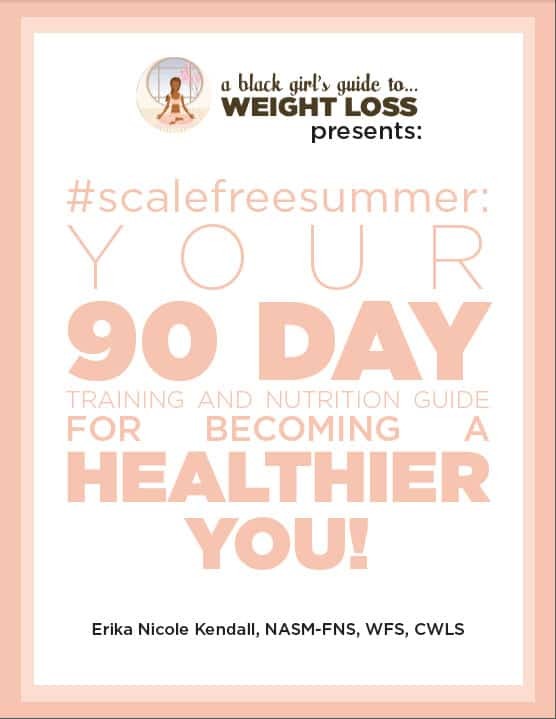 How can I prepare the beets I’ve cooked for the boot camp? 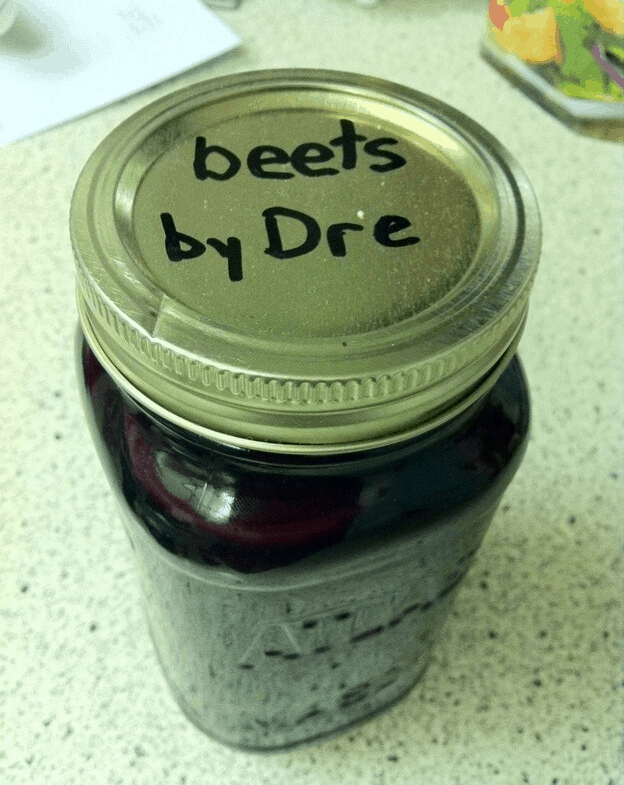 Beets are easy. Put them on a pan, face down, and roast them. 400 degrees, 35 minutes. 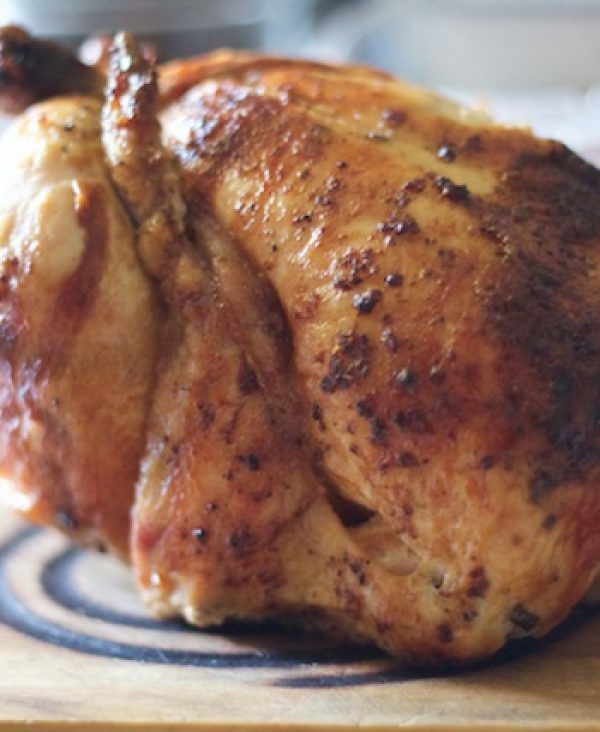 When they’re roasted, let them cool. 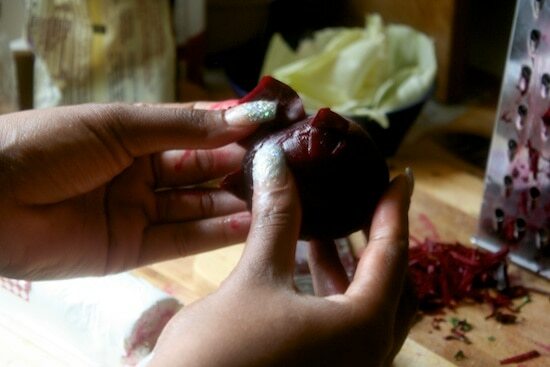 Once cooled, press your hand against the flesh of the beet to peel it off. Slice them into medallions and drizzle your favorite flavorful oil over the top – anything from olive oil to sage oil would do the trick – and a little bit of thyme and a pinch of sea salt. Grab 3 tablespoons of goat cheese (gasp, ew, gross, I know…it’s still delicious), a small handful of chopped parsley (no parsley? Take one of those beet leaves and chop it up! ), and a half a cup of pecans. Just… throw it at the plate. It’ll look great. I promise. Pinch of salt, and you’re done. 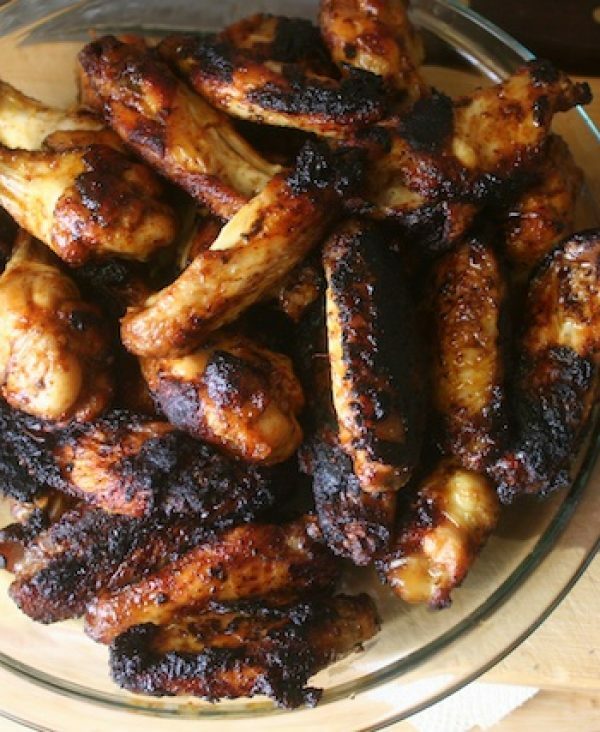 But, if you think you may want a little dressing… just use a tablespoon of honey across the entire plate. Too much will be too overbearing. Dive in, or share the plate – that one plate – with your boo. Don’t be scared… just don’t be greedy, either. 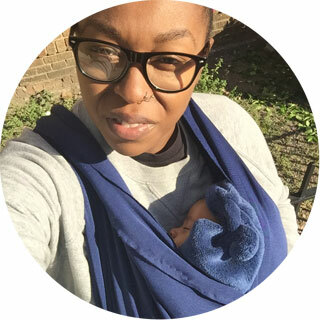 Q&A Wednesday: How Do I Stop Holding Myself Back? I love beets! I have 2 cans of organic, 1 jar of pickled, & a bunch of fresh ones in my kitchen right now. I use the canned for salads to pack for work in a pinch. I plan on roasting the fresh ones for a side for this Sunday dinner. Yummy! I am from Saskatchewan, so it was always Borscht or beet salad (beets, vinegar, oil, pinch of sugar). I don’t think I have touched a beet in years, thanks for the reminder of a veggie that I used to really love. I love beets! I usually grab a can every now and then and throw them generously on a salad. Having them around is usually the only time I’m excited to eat salad (=. I always wanted to try them fresh but was afraid I wouldn’t be able to make them taste good but after reading this I will try. Thanks Erika! 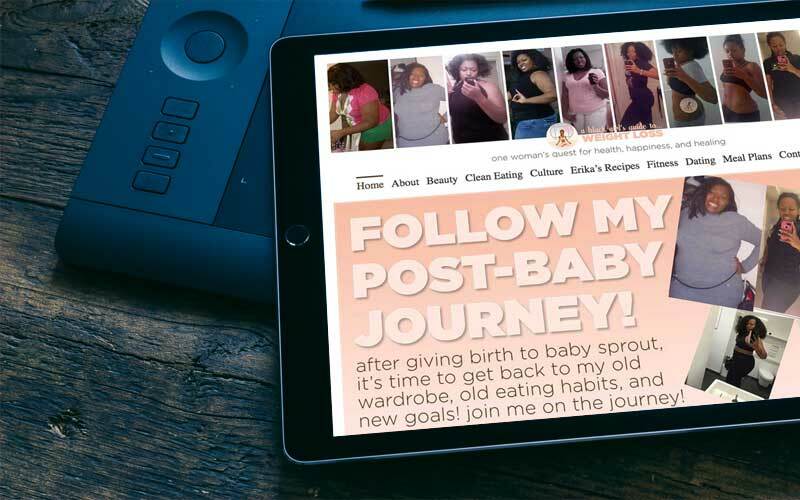 This article is so fitting especially since I just had some yesterday! Similar to yours, but instead of honey, balsamic vinegar, and then toasting walnuts before adding. Yum! And this is definitely a food that’s new to my repertoire, but love them! I like my beets juiced with carrots, apples and ginger or raw in a salad! I eat them instead of potatoes and pumpkin. Love, love. Organic, roasted, no oil, no dressing. Heaven. Ahhhhh, I forgot to mention the organic part. They MUST be organic, otherwise it’s likely that they’re GMO. Let me add that to the post NOW.